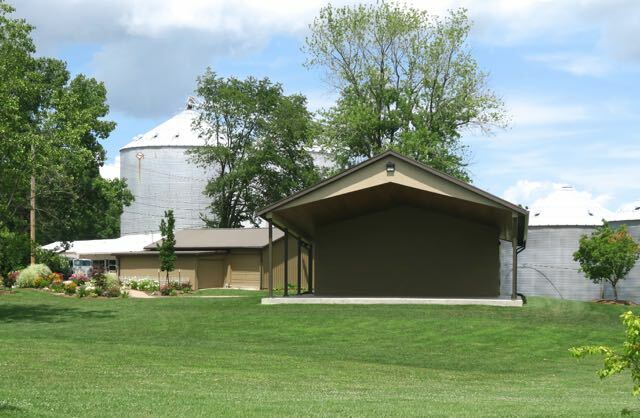 Great events are planned for the summer of 2018 at the Linn Park Amphitheater! These will include: Lloyd Wood, who was very popular last year, so he will be returning for the opening night of Heritage Days (held the weekend before the Fair - June 8-10.) Martinsville’s very own, Trouble & Company, will be back. Their talent and energy never fails to amaze us! Kevin Horner, a three time People’s Choice award winner for ventriloquism, will be here. Aaron Wilburn a comedian, songwriter, musician, who travels with the Gaither Homecoming Tour will return—he was here 3 years ago when M.O.M. and the Fair jointly sponsored him as the closing act of Heritage Days/opening act of the Fair. All who came to hear him went away refreshed after a night of laughter. Of course, The Redneck Pool Party will be back by popular demand. Battle Creek will again play during the Party. They were such a great addition last year! And Andy Avery, a talented musician who played with Journey for a short time, will give a concert in which he will include a powerful testimony of God’s intervention in his life. We will also be sponsoring a Teen Dance in July. Miss Barlow’s, Sadie’s and Sweet Norma Jean’s will be providing food at all the events sponsored by M.O.M. next summer. They were a great addition last summer so we asked them if they would be willing to come to every event next year. Each was excited to participate, so we will have great food and great entertainment.